Sharp remains to be one of the living manufacturers of appliances worldwide. This year they have innovated and brings the huge Sharp AQUOS 90-inch TV, an Internet-ready 3D TV fit for both homes and offices. 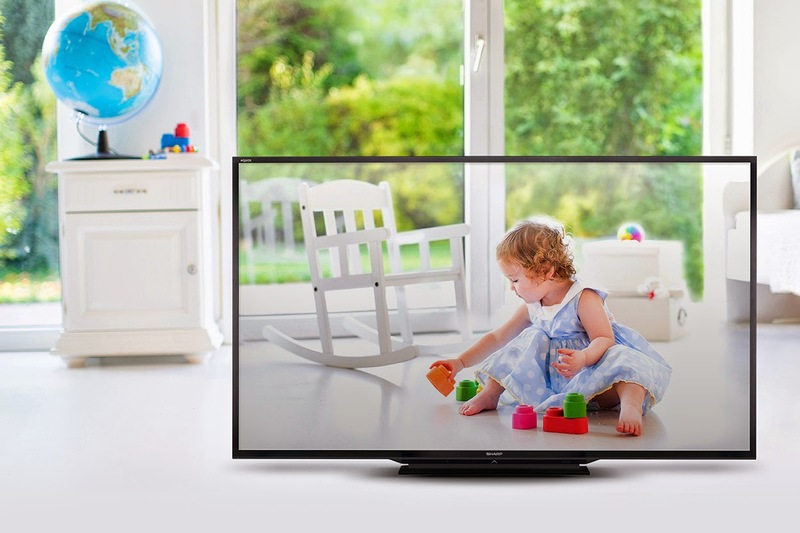 This new model esponds to your every viewing need, while making TV watching easier, more fun, and more convenient. Sharp has instinctively fitted the Filipinos way of TV viewing by providing flexibility and other features to their modern technology. The sheer size of the TV will surely grab attention not only because it is huge but because it is also capable of playing bideos in 3D. It has an X-Gen Panel which keeps visuals bight and clear. It also has ultraviolet-induced multidomain vertical alignment (UV²A) technology allows liquid crystal molecules to maintain a uniform alignment in specific directions for a more high-efficiency light usage. What more to expect from Sharp AQUOS 90-inch TV? It has AquoMotion 200/240 technology improves picture clarity and smoothness, bringing exhilaration to a whole new level. You can also use this TV for your internet surfing since it has a built-in Wi-Fi. It can also echo the display from other mobile devices through its Miracast function. That's not all with Bluetooth you can also share files conveniently across various devices plus it makes presentation and discussion easier. AQUOS 90-inch TV can be a dynamic visual aid to be used for business purposes. It can magnify documents, charts, and other essential files for corporate presentations and other business-related activities. Its capability to connect to the internet transforms it into a teleconferencing tool. Having a 90-inch screen in the conference room makes it look like the other party you are communicating with is just sitting in the same room. Business establishments can also use these enormous screens for their own digital display. Add to this its sheer aesthetic elegance – the Sharp AQUOS TV can make any lobby, conference room or other public receiving areas even more attractive with its big screen, bright visuals, and unobtrusive look. Do not just read this article when you can see for yourself the features of this gigantic Sharp TV. Visit their showroom at the second floor of 8007 Pioneer Street, Brgy. Kapitolyo, Pasig City, near Puregold Jr. and Hans Hardware. For inquiries regarding the Sharp Business Equipment lineup, please contact 6318715. For the past 32 years, it has been Sharp’s trademark to uplift the quality of Filipino lives with their simple engineering marvels. Now with Sharp’s “Our Brand, Our Pride” philosophy, every Filipino home is assured to have only the best products from Sharp, with the Sharp 90-inch AQUOS TV as its latest triumph. For more information about the Sharp (Phils.) Corp. and its products, visit www.sharp.ph.